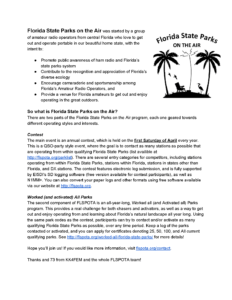 We now have a printable flyer available with the nutshell version of what FLSPOTA is all about. Feel free to download, print, and distribute around at hamfests, club meetings etc., to help raise more awareness and encourage participation in the event! This entry was posted in news on July 20, 2016 by matthew.